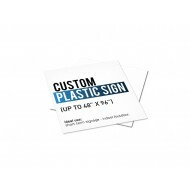 Build Your Own Custom Signs Online! Custom Basic Signs can be customized to display your message in a variety of fonts and colours! Take advantage of our quick & easy online checkout process usingExpress PO Checkout! 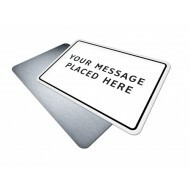 Custom Message Sign Contains: Message Text in Black, Text-to-Fit Selected Size. Clear l.. Custom Message Sign Contains: Message Text in Red, Text-to-Fit Selected Size. Clear leg..